IOFPS was installed as part of the Player event at the Science Museum, London in September 2011. Each system consists of a PC, a Arduino/ultrasound sensor, and projection. This is iterated multiple times within the space. 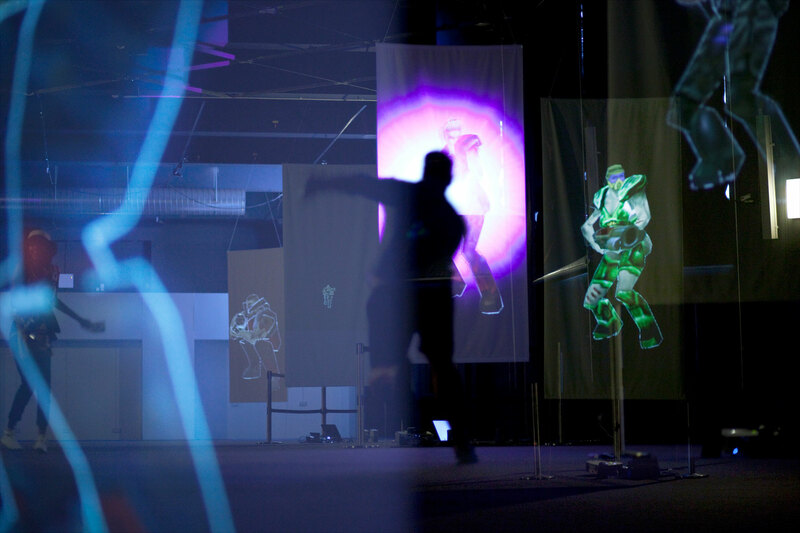 As visitors pass in front of each projection, each character shoots their weapon. Characters are imported original models taken from Quake, and used with permission from original creator John Carmack.